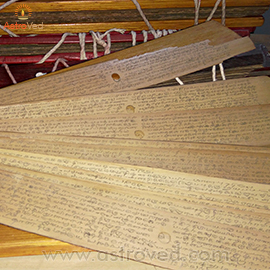 AstroVed is introducing a rare form of Nadi astrology which can provide a solution to your pressing needs in the immediate future. It is called Thuliya Nadi astrology. 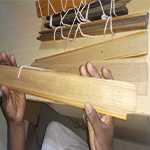 Thuliya (accurate) Nadi is an uncommon form of Nadi astrology which accurately predicts your life events for the next 3-6 years. 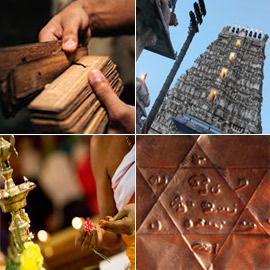 Thuliya Nadi focuses more precisely and with greater detail on your life now and the next few years. There is more information about the energies, people and events impacting your life at this time. The reading and remedial measures prescribed, are focused on the near future and will minimize negatives in your life, while maximizing positive outcomes. The Thuliya Nadi reading is an excellent choice if you had a Sukshama Nadi and/or you want to bring in a course correction to current events. Both are divine interventions, both will give you a tremendous boost in the right direction. 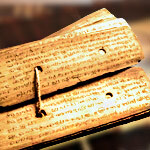 This variant of Nadi astrology also covers the Chapter 1, 13 and 14. Chapter 1- General Kandam – helps to identify your personal details like your name, your parent’s name, and your spouse’s name. The chapter also gives general predictions for the rest of your life. Chapter 13- “Shanti” Kandam – enlightens you on the sins that you had committed in your previous or significant births and have an impact on your current life. Prescriptions are given in order to negate these effects and turn your life around. Chapter 14- “Diksha” Kandam – identifies the current negative influences due to unfavourable planetary positions and evil eye casting from jealous people. These are 2 of the prime reasons for the crisis and obstacles in your life. 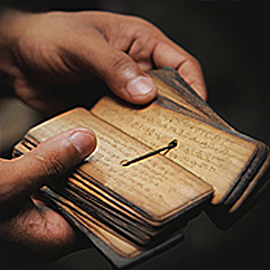 A prescription for a sacred talisman is given that will negate the effects and provide protection. * Condition Apply: The price mentioned above covers only the Poojas performed inside the temple and energization of the Raksha Plate.